If you’re planning to buy a home, the more you know, the better prepared you’ll be. Understanding some basic terms in real estate transactions will help you gain the confidence you need to make the best home buying decisions for yourself. When you buy a home, you will have the title to the property, right? This may surprise you, but the answer is yes and no. Read on to find out why. Real estate terms don’t always mean what you may think they do. Often, words are used interchangeably, which really shouldn’t be, such as deed and titles. Both terms refer to who owns a property, but there’s a significant difference between them. A deed is the official, legal document which names the owner of a property, while title refers to the process of gaining the deed. After you sign closing documents, you will, in the end, have a deed, a document signed by yourself and the seller, naming you as the current owner of the property. With this in hand you can say you are the proud owner of your home, and should any legal disputes arise around who holds ownership, this document is your proof. A deed proves whom has current ownership, or whom has taken title of a property. The term title is a concept of ownership, related to the process of acquiring a home and the land it sits on. By taking title on a property, your claim of ownership is completed with the receipt of the deed. To do so, a property must be free and clear to sell. An important aspect of closing on a real estate transaction is the title search, which provides a paper trail of ownership for a home. 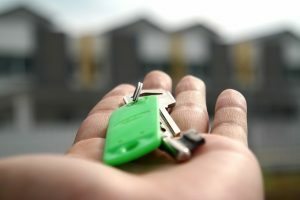 Provided there are no liens or holds against the property, and the seller is the legal owner of the home in question, a title search will give the green light for a sale to proceed. Once the closing process is completed, the title company will submit the required paperwork to record the new owner on the deed, which as the buyer, you’ll receive a copy of. With this final check off the list and official record in hand, you are now the legal owner of your home. It’s important not to assume the deed will be recorded, be sure to check with your Realtor® if you don’t receive confirmation within a few weeks of closing. The last thing you want is to discover there was an issue which delayed the recording, and you don’t hold the deed after all. Understanding real estate terms can help you be more confident in your home buying decisions. Learn more about deeds and the title process with this Realtor.com article. When you’re ready to buy or sell property in York County, you want a team you can rely on. The Jim Powers Team of local, experienced Realtors® is here to help you through the entire process. Our goal is to help you from start to finish, with complete satisfaction. Visit our website to learn more, then contact us or give us a call at 717-417-4111, to get the conversation started.